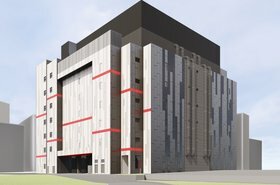 Five story facility will be the first designed and built by Digital Realty in Singapore. 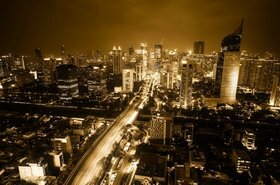 Digital Realty Trust has announced a third data center in Singapore. The 50MW facility on Loyang Drive on the northeast side of the country, should be fully operational by the third quarter of 2020. 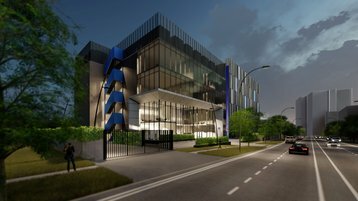 The greenfield facility, on land acquired by DRT, will be the first Digital facility built from the ground up in Singapore. 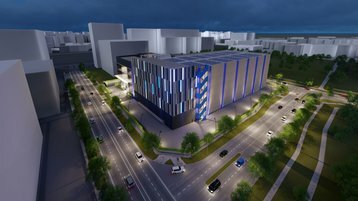 Digital Realty entered the Singapore market in 2010 with the acquisition of its Jurong East data center from a Japanese real estate firm, and added a second site in 2016, in an existing building. The new Digital Loyang II (SIN12) will be located down the road from Digital Loyang (SIN11) which was redeveloped from an existing paper store in 2016. Digital Realty confirmed to DCD that the two data centers are just 350 meters apart, which makes it trivial to lay dark fiber between the facilities for connectivity. Both SIN11 and SIN12 facilities are located close to the Changi North Cable landing station, a key sub-sea internet landing station for the region. The five story SIN12 is designed to provide up to 50MW of IT power and has a total footprint of 34,000 sq m (370,000 sq ft). 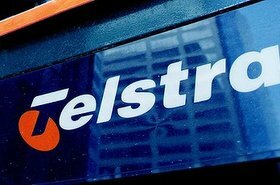 This adds significant capacity to Digital Realty in Singapore and is much larger than the 13.2MW of SIN11. Digital Realty calls SIN12 an “expansion” of its Digital Realty Loyang connected campus. 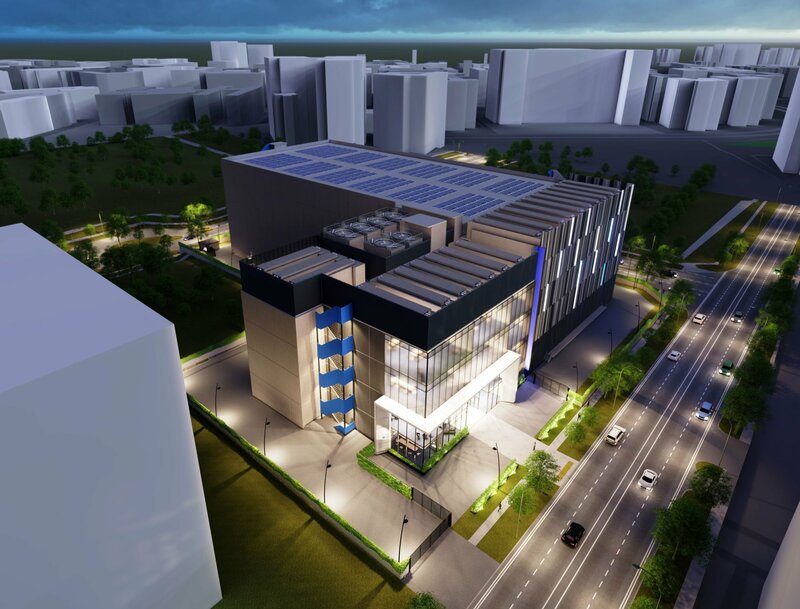 For comparison, a 2018 multi-tenant data center market report from 451 Research estimated that Singapore has 2.46 million sq m of operational multi-tenant data center, with UPS power at 326MW. Digital Realty says sustainability is a critical feature in the design and construction of SIN12, and that it intends to pursue the BCA Green Mark certification. The new facility is expected to use indirect evaporative cooling, where outside air cools an internal environment without allowing internal and external airstreams to mix. This reduces the energy required for cooling while eliminating the possibility of external pollutants compromising inside air. Digital Realty says it is looking to reduce the power usage effectiveness (PUE) of SIN12 to between 1.2 to 1.3 and aims to achieve the most competitive PUE for a commercial data centre in the data center hub of Singapore. With controls to minimize evaporation losses, it also aims to improve water-use efficiency to below the average rating for data centers in Singapore. Finally, solar panels may be deployed on its roof, based on digital renders of the new facility. This is not confirmed yet, however, and Digital Realty tells DCD it is an option currently being explored as part of its global sustainability strategy. "Our customers are constantly investing in digital services to transform their businesses, and we remain committed to supporting them through these transformations,” said Mark Smith, APAC Managing Director for Digital Realty.